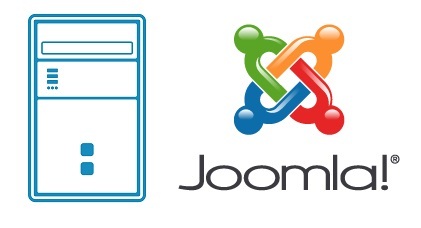 Joomla has come far over the years as a content management system and so many hosting sites offer support for this CMS that’s become as popular as WordPress. If you plan on running Joomla, there are certain things you might want to look for in a hosting provider. The best Joomla hosting plans offered by providers will give you an easy path to installing Joomla as your web script of choice, as well as servers that are well-optimized for Joomla, plus plenty of bandwidth and disk space. But of course, you’ll also want the best price for this kind of features. That said, you’re likely a bit overwhelmed with all the choices out there, and the search can be a bit daunting, especially if you’re one person wearing many hats. We hear you loud and clear, and that’s why we’ve put together a list of the top Joomla hosting plans and services out there for your perusal. Whether you are reading this list just by yourself or you are sharing this with colleagues, we’re confident that this list will help you work out which hosting service has the best and easiest path to implementing Joomla. 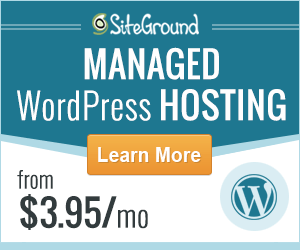 SiteGround offers compelling hosting packages for webmasters. It offers a wide array of services with shared hosting, cloud hosting, dedicated hosting services and actively managed plans with integrated WordPress management. SiteGround offers many compelling advantages for small businesses or a newbie who are not looking to be overwhelmed by the huge responsibility of taking care of a large website server. SiteGround’s customer service is quite accommodating and supportive, a huge bonus for new or inexperienced users. HostGator has shown how determination pays offers, from a startup by a student with just three servers to a leader in the industry. Many people trusted HostGator and with their domains which speak volume of this web host. Over the years, they’ve been able to avoid many teething problems that are commonly associated with companies embarking on an aggressive growth path. HostGator is affordable, fast, reliable, stable and trusted. Bluehost is one of the best choices out there for those who need a variety of hosting options and scalability. With Bluehost, there is also a way to register a domain without going someplace else. Bluehost is an excellent web hosting company, and this is a company to keep on your “short list” of the hosting service provider. A2 web hosting services are designed to provide fast and reliable experience to the customers. The optimized WordPress hosting tune the WordPress powered website performance to its best. The customer support services are up to the mark. Choosing the A2 web hosting as your web host can be beneficial as the features, pricing and customer support of the company are impressive. InterServer is a great web hosting company to try out. It was founded by two high school friends who were very passionate about web technology, and opened the company’s doors to web clients in the year 1999. Over the years, it has grown to now own two data centers and offers excellent services ranging from dedicated servers, virtual hosting, colocation, cloud VPS and quick servers. InMotion is hands down the excellent hosting service provider on the market. While it may not offer the cheapest packages, the services it provides are well worth the price. Even though the customer service alone makes InMotion worthy of the highest recommendation, it also offers some of the highest levels of sustained performance and reliability that you can get at a price that might qualify as “affordable”. InMotion is also one of the few hosting service providers that offer SSD hosting as standard, meaning that the cheapest InMotion Hosting package will net you better performance while many other premium hosting services still using regular hard drives. DreamHost is an ideal web host option for the beginners as well as experts. The DreamHost hosting plans are available for variety types of customers. Advanced email technologies are used by the company in their email services. The major positive points of the company are topnotch customer support, advanced technologies, and reasonable hosting prices. The company offers numerous good services for the new and expert webmasters. GreenGeeks is a popular web hosting service provider. The company has many good reviews about the services, performance, and its competitive prices. Therefore, it has become the first choice of many webmasters today. GreenGeeks is recommended for new and experienced bloggers, website owners and business web pages. It is also an ideal choice for people who are looking for developing websites on a budget. Web Hosting Hub, the renowned Virginian web hosting firm established in 2010 has operated successfully for many years by offering amazing discounts to its customers. The customer service team respond quickly and seldom delays in helping their customers. Besides, the Web Hosting Hub server uptime and speed are also good and stable. Overall, Web Hosting Hub provides low cost hosting with good quality of services. FastComet has grown to provide public cloud hosting and now offers a hosting platform to its customers. Some of these services include open source web hosting, SSL, and other free templates. FastComet has impressive SSD technology that they use for all their web hosting services. The prices offered are fair, compared to most other web hosting companies, which are either too cheap or too expensive. You thus get real value for your money.